The aggregate crushing value gives a relative measure of the resistance of an aggregate to crushing under a gradually applied compressive load. With aggregate of aggregate crushing value 30 or higher, the result may be anomalous, and in such cases the ten percent fines value should be determined instead. Balance should be accurate upto 1 gm. 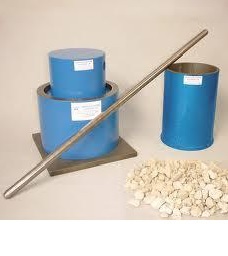 The material for the standard test shall consist of aggregate passing a 12.5 mm IS Sieve and retained on a 10 mm IS Sieve, and shall be thoroughly separated on these sieves before testing. The aggregate shall be tested in a surface-dry condition. If dried by heating, the period of drying shall not exceed four hours, the temperature shall be 100 to 110°C and the aggregate shall be cooled to room temperature before testing. The appropriate quantity may be found conveniently by filling the cylindrical measure in three layers of approximately equal depth, each layer being tamped 25 times with the rounded end of the tamping rod and finally leveled off, using the tamping rod as a straight-edge. 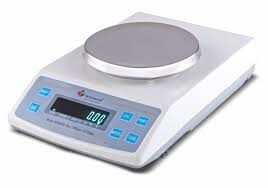 The weight of material comprising the test sample shall be determined (Weight A) and the same weight of sample shall be taken for the repeat test. The cylinder of the test apparatus shall be put in position on the base plate and the test sample added in thirds, each third being subjected to 25 strokes from the tamping rod. The surface of the aggregate shall be carefully levelled and the plunger inserted so that it rests horizontally on this surface, care being taken to ensure that the plunger does not jam in the cylinder. The apparatus, with the test sample and plunger in position, shall then be placed between the platens of the testing machine and loaded at as uniform a rate as possible so that the total load is reached in 10 minutes. The total load shall be 400 kN. The load shall be released and the whole of the material removed from the cylinder and sieved on a 2.36 mm IS Sieve for the standard test. 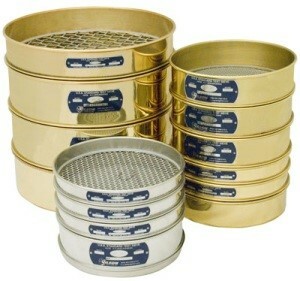 The fraction passing the sieve shall be weighed (Weight B). B = weight in 'g' of fraction passing through 2.36 mm IS sieve.